As a kid, all you care about are the sweeter things in life, like the candy and all the other sugary delights that you can get your hands on. You might have formed a strong love or addiction for chocolate…an overwhelming intense need for it in any form whether a candy bar or morsel chips in a cookie. Chocolate is everywhere, there are restaurants that cater their entire menu to chocolate lovers such as Jacques Torres and Max Brenner. Chocolate is an ingredient that can easily stand-alone but can also be accompanied with many other flavor concepts. I have such a strong interest in chocolate, its history, its creation process as well as how it has always been popular in both the culinary and confectionary world. There is dark chocolate, milk chocolate, and white chocolate but there is a new chocolate version on the horizon, pink chocolate. Yes, you heard me correctly–pink chocolate. There are typically only three different varieties of chocolate which consists of Criollo, Trinitario, and Forastero. The higher quality chocolate is the Criollo and Trinitario beans which are the more expensive varieties as it isn’t cultivated as much and has a higher concentration of cocoa within the bean. These beans tend to be more robust, with a more potent flavor and bitterness. But the large-scale chocolate that is readily sold around the world for wide consumption is created from the Forastero beans. The cocoa bean itself is a fruit that is usually dried and fully fermented before it can go through the necessary processes to become chocolate. With the exception of white chocolate, which is only created from cocoa butter and not the actual cocoa bean. This amazing creation was invented about eighty years ago, but today, the production of white chocolate is old news. Now, everyone has a newfound interest in pink chocolate. It has officially become the newest type of chocolate in the world. 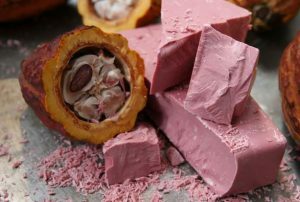 Ruby chocolate has a reddish-pink hue which comes from the Ruby cocoa bean and its flavor concept is not bitter or sweet but it has flavor notes of fruitiness and a smooth mouthfeel. Despite the popular debate, there are no berries, flavoring, or coloring added to the chocolate. The history of this chocolate is still unknown but has taken many years to have been developed. And now, gone are the days of a cheap Hershey’s candy bars… Here’s to welcoming the new-age innovation of gourmet chocolate. Food in America has always been an issue since it has constantly been debated on the nutritional value of the foods being readily sold in a variety of supermarkets. I wanted to share this particular news because it shows the importance of food in America and how we as culinary professionals whether if this is the profession that you wish to pursue have the knowledge to educate the youth on better food systems. Personally, I aspire to be a pastry chef but the culinary techniques and information that has been taught to me will remain with me to be passed on through my way of cooking and what I share with those that I communicate with. The mass production of Nutella reminded me of the Art of Vegetarian course that I took with Professor Hoffman. In that course, Professor Hoffman constantly encouraged us to partake in our own cooking and talked about the importance of healthy eating in terms of knowing the ingredients that we are allowing our bodies to ingest. Something that has been widely and commercially broadcasted as being healthy for families to purchase for snacks and breakfast options. 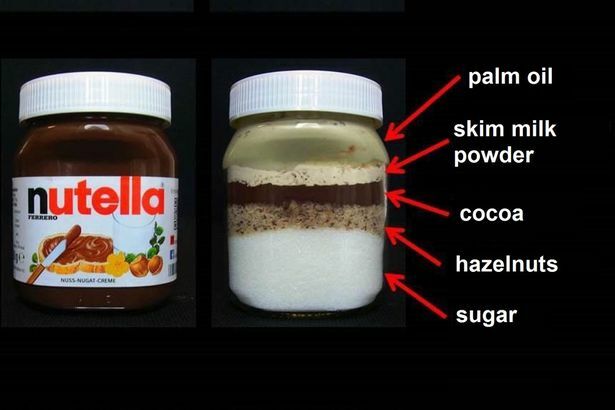 But after this viral photo showed the accurate portions of ingredients in Nutella, it has led to an angry outcry about the honesty of company’s advertisements. 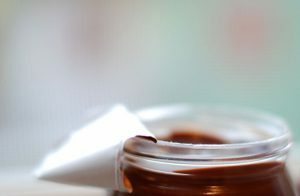 Nutella is now being shown as having mostly sugar and palm oil with only small amounts of hazelnuts, skim milk powder, and cocoa powder. Both sugar and palm oil have respectively been viewed as unhealthy as it can easily lead to obesity which can lead to other medical issues such as diabetes or cancer. This has created a huge panic especially in Italy where many places have stopped selling the spread and have even banned it due to the fear of its predicted unfortunate health effects. No matter what the circumstances, it is always better to make food from scratch rather than buying food pre-packaged. Comment below on foods that you enjoy making from scratch. This week was Valentine’s Day…which is a holiday that celebrates love and happiness. Although, love shall be shared each and every day amongst each other, this particular day of February 14th has become this renowned holiday which is designated to showing love and appreciate for all the special people in our lives. 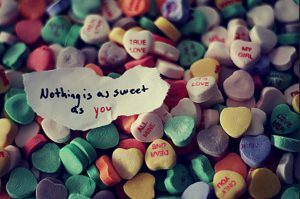 This day is easily celebrated by way of cards, teddy bears, flowers, or most of all….with candy. 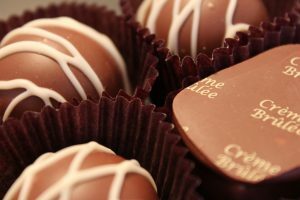 For those of us that received chocolates or other candies on Valentine’s Day as well as those that gifted those sweets to themselves may find that it can be difficult to get rid of. Though, you can snack on candy, it may become boring after a while. Instead of wasting all of that candy, I will share a few ideas to better make use to all the leftover candy from the holiday of Valentine’s Day. You can easily upscale your normal recipes for cookies by adding chopped pieces of leftover Valentine’s Day chocolate to the recipe. For instance, instead of putting the typical chocolate chips into the batter for chocolate chip cookies, you can incorporate chopped up chocolate candies. These chocolate treats are very simple to make with ingredients that may already readily be in your home. Simply, melt some chocolate either by nuking it in intervals of thirty seconds at a time to stir in between or by a double boiler in which you will stir the chocolate constantly in a heatproof bowl that is over a boiling pot of water. Then, add some heavy cream or condensed milk before shaping it into balls and refrigerating. You can also roll the balls into chopped nuts, cocoa powder, coconut flakes, or sprinkles to add other flavors, textures, and to better the appearance of the truffles. 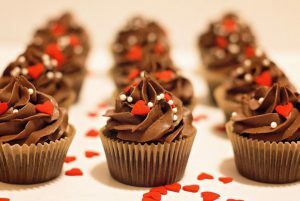 Since the most popular candy received on Valentine’s Day is chocolate, this recipe will put all the leftover chocolate that you have to use in this easy recipe. Simply, warm a cup of milk either by boiling it on the stove or by nuking it in the microwave. Then, put a few pieces of chocolate into the mug. Let this steep as the hot milk will slowly melt the chocolate. Then, stir the chocolate in accordingly until it thoroughly dissolves into a cup of hot cocoa. Comment below on desserts that you make with leftover Valentine’s Day candy. The semester is officially over and Christmas is quickly approaching. Winter has officially begun so it is a time to fight through the frigid temperatures and to fellowship with friends and family. Whether it be putting cookies and milk out for Santa, decorating the Christmas tree, or giving gifts; Christmas is a time of togetherness and joyous times. For me, this time gives me the opportunity to find a new hobby or to explore new adventures that will be embarked during my break from the hectic schedules of college. But as always, I plan to bake so as I encounter this holiday season that is about to take place, I am filled with the endless ideas of all the traditional desserts that are often served around this time of year. The holidays honestly are interpreted differently to each individual person but I find that there is this common ground that it is about celebrating love with those you truly care about…those who are special and have endured some of the toughest times with you. A traditional Christmas dessert is the Yule log cake, also known as the bûche de Noël or Swiss roll, which is an sophisticated creation that consists of a beautiful construction of a filled sponge cake that is delicately rolled and frosted with chocolate buttercream. It is usually designed to look reminiscent of a tree bark. 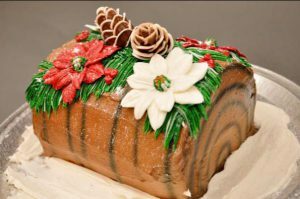 The Yule log cake can be thoroughly decorated with an array of edible decorations such as holly crafted out of marzipan or mushroom shaped meringues. The history of this widely celebrated dessert of the Yule log cake dates back to the European medieval era. 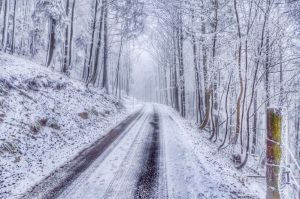 In that particular time, the Celtic Brits and Gaelic Europeans would come together to welcome the solstice of winter in the cold December months by feasting in celebration for a lingering amount of days. The cake being shaped to look like a wooden log was in dedication of the meaningful use of wood in these historic times. Wood was viewed as an offering that would be burned and the ashes were valued to protect the inhabitants in terms of guarding them from evil and being used for medicinal purposes. While many bakers have popularized the production of this holiday-themed confection in the 19th century and a variety of bakeries created their own representations of the classic look of the cake. But, nowadays, the Yule log cake has become somewhat obsolete as a Christmas dessert tradition; it has become almost completely replaced by the likes of apple pie and other seasonal baked goods. So enjoy the holidays with your respective celebrations and comment below on some of your favorite holiday tradition that you partake in. Unfortunately, many foods in America are questioned for their authenticity as there are simply are a variation of an authentic ingredient that is remade at a lower quality. Many readily used ingredients in America are not of the utmost quality which can effect the outcome of a recipe as well as the overall appearance and flavor of that particular dish. One of America’s favorite sweet tooth fix is … chocolate. While some label themselves as connoisseurs, others view themselves as chocoholics who are just strictly addicted to chocolate. But chocolate is one of the most famous treats in America while the quality is differing by way of the brand and the origin. Chocolate should traditionally be made from the cacao bean which is then processed numerous times before becoming the molten creation that is chocolate. But America has found a way to somewhat cheat the process of chocolate making by only using cocoa butter solids which are a byproduct of chocolate that lowers the quality and flavor of the chocolate. 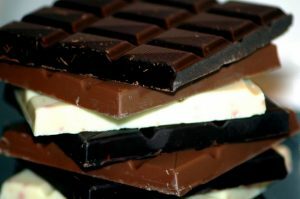 Commercial brands like Nestle or Hershey are packed with sugar and the butter solids whereas those brands like Ghirardelli or Valrhona use the more extensive process that is necessary in making the best quality of chocolate. But the better brands are more expensive which leads many Americans to purchase a budget friendly chocolate despite it’s quality and flavor, it constitutes as a treat that will satisfy their craving. Yet, I feel that Americans are wasting their money if you pay less for low quality as well as a lower quantity of actual chocolate then it becomes a debate on whether it is worth the cost. Essentially, it is important to read labels as it will help to guide you on the reality of the chocolate that you are planning to consume before wasting the money to purchase it. So the next time that you have a craving for chocolate, I encourage you to indulge but for the best chocolate tasting experience, I suggest that you check the labels and spend a little more for a better quality of chocolate. Good Luck and Happy Eating! Remember the Kraft processed cheese singles commercials that showed the cute, happy children who were eating grilled cheese sandwich and how we envied their happiness. We were so easily brainwashed that we begged our parents to buy the processed cheese singles so we could enjoy grilled cheese sandwiches just as much as those thrilled children from the commercials. As we got older we may have begun to explore other cheeses such as American, Cheddar, and Muenster to add a new flavor element to the childhood favorite of the grilled cheese sandwich. Sometimes the grilled cheese and tomato soup meal becomes monotonous because we simply are in a food rut. But there is an alternative to this meal that still endeavors that cheesy goodness of a grilled cheese sandwich where the cheese is delightfully melted, gooey, and strung in our mouths. The month of April marks as grilled cheese month. As you have seen from my previous posts, I write about extremely unique recipes that are not usually created but are intriguing to make with variously new techniques and to taste with a variety of flavor concepts. 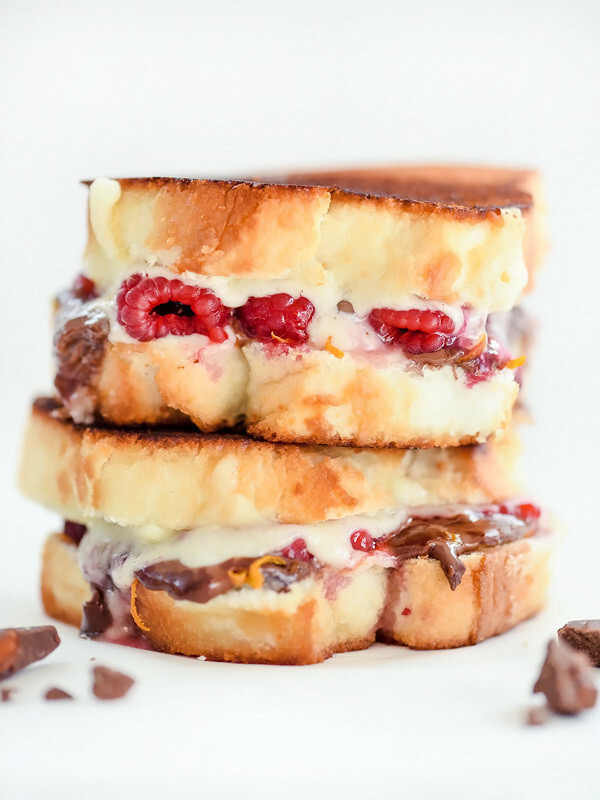 I wanted to share a sophisticated version of grilled cheese that *fits as a great snack or dessert which is the Raspberry and Chocolate with Almonds Grilled Cheese. The cheese is paired with almond studded chocolate candy bars and fresh, sweet raspberries for a modernized twist on an American classic. It is easy to make as any other grilled cheese is and it is delicious because it offers a new definition to grilled cheese sandwiches to not only be savory but sweet as well. I simply ask that readers have an open mind to try this interesting recipe as it is very satisfying. Spread ½ tablespoon of butter on one side of each slice of the angel food cake and turn the unbuttered side up, laying the buttered side down on a cutting board or piece of parchment. Layer each of the 4 slices of angel food cake with 1 slice of the havarti, then set 2 of the havarti topped slices aside. Spread half of the mascarpone on top of the other 2 slices and sprinkle with the sugar. 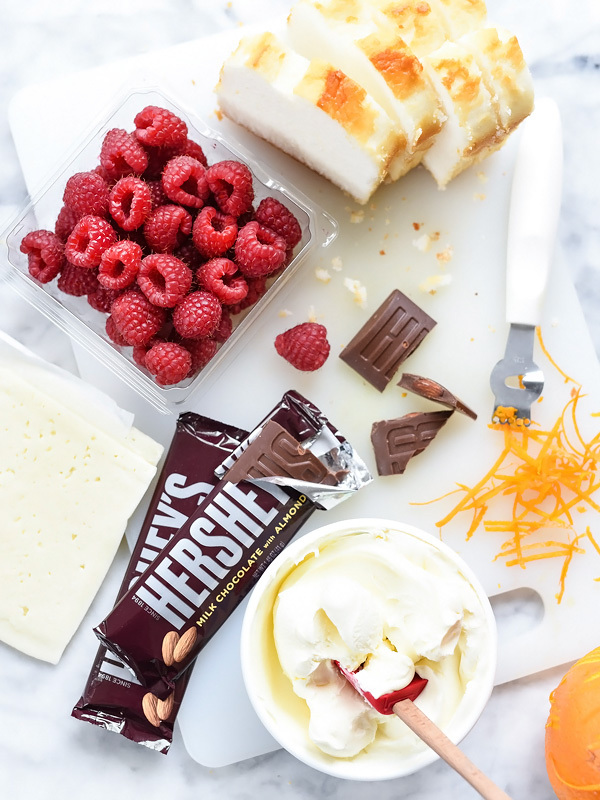 Top these with a generous pinch of the orange zest then roughly break the pieces of the HERSHEY’S Milk Chocolate Bar with Almonds into chunks and divide among the 2 slices of cake with the mascarpone and zest. Top each slice with a few berries. Drizzle the oil into a non-stick fry pan over medium heat. Place the four sandwich slices in the pan buttered side down. Cover with a lid and cook for 3-4 minutes or until the bread is golden and the cheese and chocolate has melted. Transfer to a plate and top the chocolate, cheese and berry sides of the sandwich with the slices of cake with just the melted cheese. Enjoy hot. The Angel Food cake can be substituted for challah bread,sweetened brioche, or pound cake. Also, many other fruits can be used such as blueberries, strawberries, blackberries and even sliced stone fruit.